Folded mountains are the most common type of mountain, representing the world’s largest mountain ranges. Some of the more famous ranges include the Rockies, Andes, Himalayas, and the Alps. 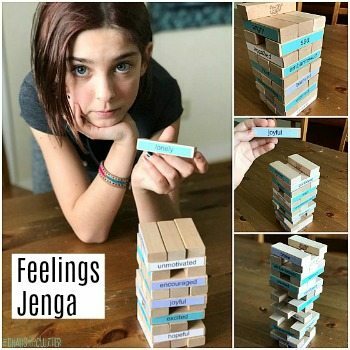 This simple science experiment helps demonstrate how they are formed. Fold mountains occur near convergent or compressional plate boundaries. Plate movement creates fold mountains as the plates move towards each other. This movement causes layers of sedimentary rock on the ocean floor to become wrinkled and folded. These mountains are found between two continental plates. I love that this science experiment didn’t cost any money and was a great visual for explaining how fold mountains are formed. 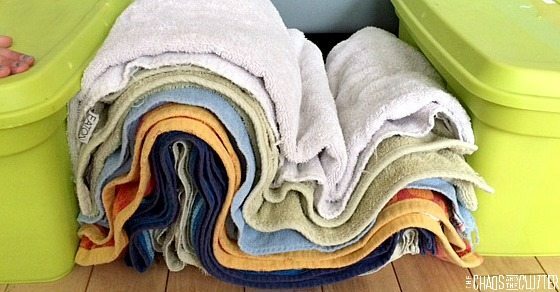 Lay down a stack of towels, each one folded in half. The folds will be more obvious if you use towels of various colours, but monochromatic will work if that’s all that you have. Put a box on either side of the towels. The boxes represent the continental plates while the towels represent the buildup of sediment on the sea bottom. Push the boxes (continental plates) towards each other and observe the “mountains” being formed. Ask your kids to make observations about the folds and the shape. 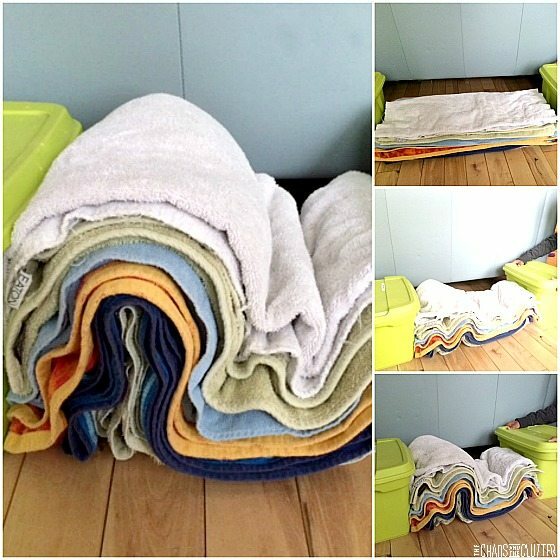 When we did this science experiment, I told the kids that the boxes represented the continental plates and that the towels represented the sedimentary rock layers, but I didn’t tell them what the outcome of the experiment would be. As the towels began to rise and take shape, I asked them what they thought was happening. Most of them were able to guess that it was becoming a mountain. They took turn moving the boxes towards each other and saw that the outcome was always the same, though sometimes a slightly different shape was formed. Our kids have seen the Rockies as we drive through them nearly every year, so they were able to easily picture what those mountains look like. If your children (or students) are not as familiar with fold mountains, I would suggest showing them some images of what fold mountains look like. If you are looking for other ways to make science come alive for kids, you will want to check out our Simple Science board on Pinterest or check out some of our other science experiments. 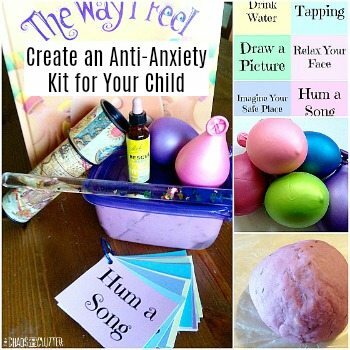 Follow Sharla Kostelyk’s board Simple Science on Pinterest. I like this, but it only works if all the ‘rock’ layers are clatish & moldable. 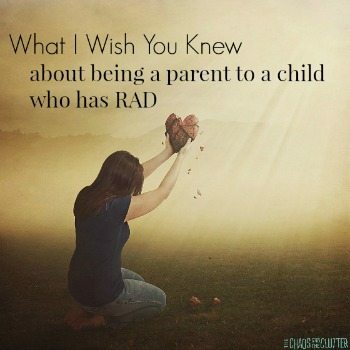 Try it with ‘rock’ layers made of drywall & if the kids are able to push the bins together, the drywall breaks & crumbles, no pretty curves. I suppose this couples with the fantasy of a Late Cretaceous period Western Interior Seaway. Me, I like the KISS principle (Keep It Simple Stupid). There were no huge mountains about 4400 years ago, then a world wide flood which brought in the sedimentary layers & they folded & the waters receded creating (just love that word as it entails a Creator), amongst other things, the Grand Canyon. The Earth’s crust (the rock layers) work, in many ways, like silly putty. When the pressure is exerted slowly (millions of years for the crust, seconds for the silly putty), the result is the material remolds itself. However when the pressure is exerted quickly (think earthquake for the crust, slamming with a hammer for the silly putty), the result is the material breaks apart/shatters.